Why are some users not automatically being added to a company? 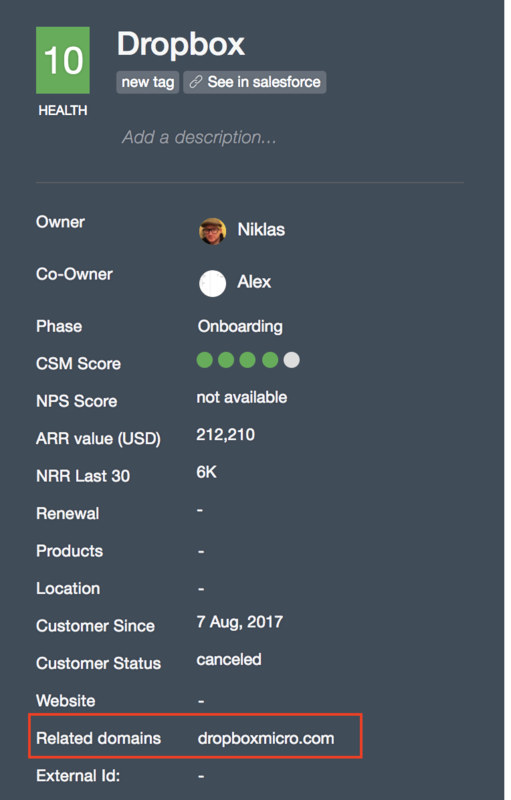 Planhat will automatically create a new user on a company profile when it has enough information (typically just needs an email) to do so. However, in order for Planhat to be able to map the new user to the correct company, there has to be an email domain associated with the user that matches one of the related domains on the company profile. If it seems users are not being added in Planhat from an Intercom chat, ticket, or an email exchange first check to see that there is a related domain that matches the ones of the users. If there is no related domain present, or there are multiple domains that are related to this company and not all of them are there you can add them manually.